This photo was leaked by twitter user @evleaks and picked up by The Verge. The device, codenamed Nokia Phi will run Windows Phone 8 OS. 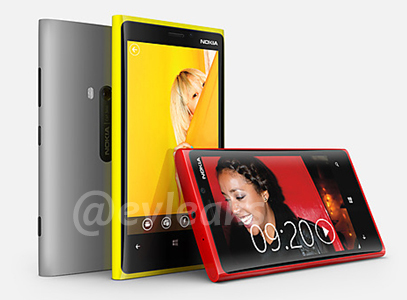 The design appears quite similar to other Lumia series device. The leaked image shows multiple colors in which the device will be available. Whether the leaked image is fake or not, we will know by September 5. Stay tuned.